What is Adderall Withdrawal? Are There Withdrawals from Adderall Use? Adderall withdrawal can be both an acute and prolonged process. Typically, the longer Adderall has been abused and the greater the amount taken, the more difficult withdrawal can be. People who abuse Adderall often do so to enhance areas of personal functioning or to cope with life’s demands and stressors. The frequency of use contributes to withdrawal difficulty with more frequent use causing more discomfort when Adderall is discontinued. Some of the distress in Adderall withdrawal is psychological. People who abuse Adderall often do so to enhance areas of personal functioning or to cope with life’s demands and stressors. Feelings of social awkwardness or performance anxiety, for example, can be temporarily ‘overcome’ with Adderall abuse, or intoxication can seem to decrease one’s usual poor motivation and passivity. Adderall can also help compensate for the lack of rest, alertness and concentration. When the intoxication of Adderall is no longer available, people who have sought its effects to cope are at risk for relapse unless these related issues are addressed. Physiologically, the reward system of the brain is severely affected by Adderall abuse and withdrawal. With discontinued use, their production is below normal due to the overworked reward system. Some have a protracted withdrawal that can cause such symptoms over many months until brain functioning improves. Protracted withdrawal symptoms, particularly the lack of pleasure, create a high relapse potential. If you or a loved one is in need of Adderall withdrawal and treatment services call 1-888-993-3112Who Answers? to speak to a treatment support team member about options. Keep in mind that several factors will determine the best course of action. These include the severity of use and length of time used, physical and mental health considerations and the intensity of support needed to be successful in recovery attempts. The symptoms of Adderall withdrawal are typically the opposite of its intoxication effects. Withdrawal symptoms are depressive as opposed to stimulating effects of Adderall. The withdrawal symptoms include fatigue, depression and social withdrawal as opposed to high energy, elevated mood, gregariousness, and talkativeness, for example. Withdrawal symptoms can vary in onset and intensity depending upon the severity of abuse and period over which one has abused Adderall. A general guideline is that symptoms appear within a few hours after a regular dose is missed. Some, with less severe abuse, may not feel withdrawal symptoms for a day or two after discontinuing use. Some Adderall abusers are at particular risk for withdrawal complications due to long-term and heavy use, as well as co-occurring physical and mental health conditions. The health of those with already existing cardiac problems can be especially compromised, leading to potentially life-threatening complications. Withdrawal can also cause a psychiatric emergency. For example, a co-existing depression can deepen and lead to suicidal thinking and consequent attempts. Psychiatric symptoms like severe depression, psychosis, and potential for harm to self and others, can occur even in those who do not have a freestanding psychiatric disorder. Get Help Today Find support to help you through your Adderall addiction today. 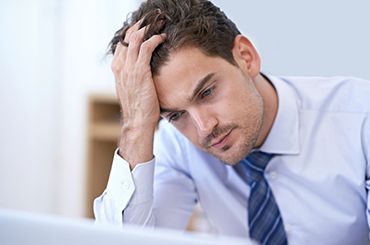 Adderall withdrawal is not the same for everyone and treatment during withdrawal can vary. For those with health problems specific to Adderall abuse such as hypertension and heart problems, medical supervision and monitoring is important. Similarly, those with psychiatric symptoms such as delirium, psychosis, suicidal ideation and combativeness require a safe, therapeutic environment where symptoms can be monitored and stabilized. For example, compromised physical health may require medical hospitalization or serious psychiatric symptoms may require a dual diagnosis program where symptoms can be managed while withdrawal occurs. The prospect of withdrawal can be frightening, and some want to leave treatment before the withdrawal is complete. Supportive therapy can help identify methods of coping and provide opportunities to process strong feelings, fears and anxieties. Professional support can also help a person deal with an emotionally upsetting situation appropriately. Additionally, support professionals can help identify strengths and resources available to those in the withdrawal process that will mobilize hope for recovery and the willingness to complete the withdrawal process. The nature of Adderall addiction. Emotional and psychological issues arising during withdrawal. If you or a loved one need help to discontinue Adderall use safely, you can call 1-888-993-3112Who Answers? to speak with someone about the treatment options available in your area. Options for Adderall treatment are available in a range of settings—from outpatient visits to stays in a treatment center. Also, there are various types of settings for those who choose to receive treatment away from home.These include private settings, luxury facilities with spa-like amenities and executive-friendly programs in which necessary professional dealings can be maintained. 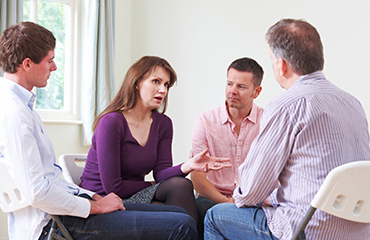 Consultation with an addiction professional before choosing the appropriate treatment setting for yourself or a loved one is highly recommended. Discontinuing Adderall can cause mild, moderate or severe reactions. If you or a loved one has been abusing Adderall, the safest course of action is to proceed with medical advice. Any symptoms that are experienced. If feelings of suicide, thoughts of harming others, or any actions that indicate these occur, immediate emergency assistance should be sought through 911 or presentation at a hospital emergency room. Difficulty communicating, breathing, responding or moving. Cassidy, T., McNaughton, E., Varrughese, S., Russo, L., Zuluetal, M., & Butler, S. (2015). Nonmedical Use of Prescription ADHD Stimulant Medications Among Adults in a Substance Abuse Treatment Population. Journal of Attention Disorders, 19 (4) , 275-283. Everitt, B., & Wolf, M. (2002). Psychomotor stimulant addiction: a neural systems perspective. The Journal of neuroscience, 22(9), 3312-3320. Forrestera, M. B. (2007 ). Adderall Abuse in Texas, 1998–2004. Journal of Toxicology and Environmental Health, Part A: Current Issues, 70(7), 658-664. Grace, A. (2000). The tonic/phasic model of dopamine system regulation and its implications for understanding alcohol and psychostimulant craving. Addiction, 95(8) , 119–128 . Harris, D., & Batki, S. (2000). Stimulant Psychosis: Symptom Profile and Acute Clinical Course. The American Journal on Addictions, 49(2), 157–163. Kosten, T., & O'Connor, P. (2003). Management of Drug and Alcohol Withdrawal. New England Journal of Medicine, 348, 1786-1795. Smith, D. (2005 ). Commentary: Concerns With the Suspension of Adderall XR . Canadian Child and Adolescent Psychiatric Review, 14(2) , 39. Varga, M. (2012 ). Adderall Abuse on College Campuses: A Comprehensive Literature Review. Journal of Evidence-Based Social Work, 9(3) , 293-313. Yanofski, J. (2011). The Dopamine Dilemma—Part II. Could Stimulants Cause Tolerance, Dependence, and Paradoxical Decompensation? Innovations in Clinical Neuroscience, 47-53.